Start your Dream Business with Startupr! Ever dream of managing all the operations of your business in one place? 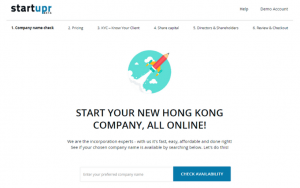 Want a convenient online software to efficiently start a company in Hong Kong? Then Startupr’s Backoffice system is the perfect option for you! Setting up and managing a company in a new environment can be quite a cumbersome task. Not only do you need to do all the important company filing, but you need to make sure the information details are correct and filed on time. To ensure you stay updated with all the rules and regulations of Hong Kong, you need to hire a professional company secretary, like Startupr. Startupr will assist you not only in registering your business, but also managing all the business activities. We have years of experience in setting up business in Hong Kong. We have clients from all over the world from industries of various sizes and backgrounds including the services industry, consulting services, IT sectors, and many other services. We strive in preparing and managing each of the company’s filings to suit the needs of our clients. Our separate online Backoffice system helps you keep track of your company’s details and required annual filings, all in one place. Incorporate your business with Startupr! Let’s dive into the details of the services offered by our Backoffice System. 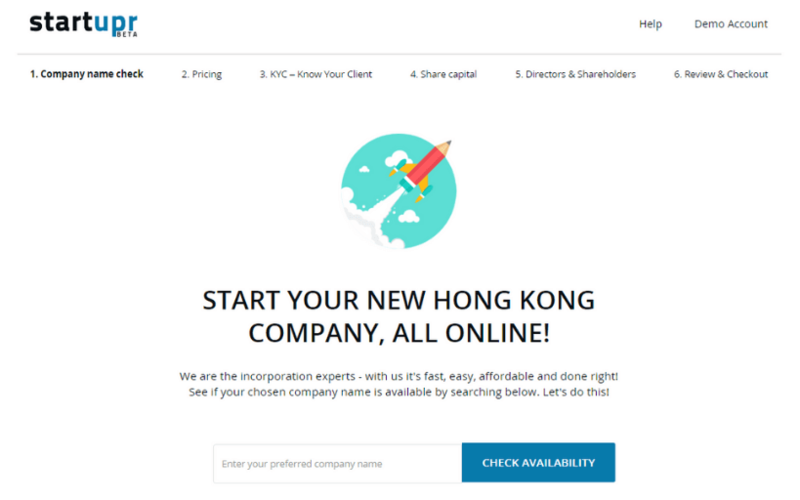 With the incorporation of your company in Hong Kong, Startupr can assist you every step of the way to ensure a smooth and easy process to setting up your company. The first step of the Backoffice system is to check the availability of your company’s name. Once it verifies the availability of the name of your company, then you can incorporate your business in Hong Kong. $99 for the Regular plan, and it takes 3 to 5 days to set up the company (not available for option 1). $320 – Government Incorporation fees which would give you the CR Incorporation and IRD – Business License. $225 for our Startupr local secretary. $105 is the Annual return fee, which includes the list of shareholders and directors. This must be filed 42 days before the initial registration date for the costs for the government. As per your business requirements, select incorporation options and make your mark as an entrepreneur in the business world. After that, establish your company operations, appoint board members, and limit founder liability with a quick company formation process, developed by experts and entrepreneurs. After you are done with the selection of your incorporation and company name, the next step is to fill up KYC, share capital information and the company’s director’s information. With these details, we will help you in organizing all the financial information to keep onboarding costs down. This may help when sharing your information with your accountant or lawyer. Startupr will also help you in issuing the stock and manage company ownership. All this can be done with the help of the Eqvista application, that assists founders in efficiently issuing and managing all the company shares online. Issuing new shares in a Hong Kong company includes the allotment by the directors. These shares are then issued to the shareholders with the relevant information. The Startupr Backoffice will help you in doing the necessary changes in your company. 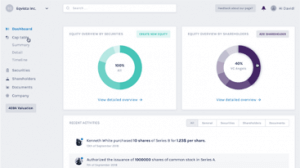 It will keep the track record of your directors and shareholders at a glance using a built-in, robust cap table software that automatically tracks your equity grants. We take approximately one day to prepare the Bought and Sold Note and the Instrument of Transfer along with the other documents. Then the transferor and transferee are arranged to sign the transfer documents, which is again as per your schedule. All the original transfer documents together with the supporting documents are collected, then it will be submitted to the Stamp Office for assessment. Along with this, you would have to provide stamp duty payable as well, which is also given to the Stamp Office. The new share certificates are prepared and they are updated with the Register of Members, while the rest of the document set is delivered to you. This time frame may be longer depending on the time length required to prepare the company accounts, for active companies. Company Dashboard – The Startupr Backoffice system will help you in staying on top of every process and keep things moving with the status of all your company’s demands and requirements. Email Reminders – Take action from your inbox with notifications for required actions, deadlines, and important dates. Auditable History – The Startupr Backoffice system will automatically help you in saving all the important documents of your business, so that you could use them later on in the business. In fact, you can make sure that these documents of your company are kept securely and reliably. Let’s continue the article with the other services offered by our Backoffice system. Having a business address and taking care of important mail can be a time consuming task for new companies. In order to handle the paper mail, mail forwarding is a hassle-free method for receiving mail used by most businesses. Thus, we have upgraded the way companies handle mail, with our newest Backoffice software system! Once you receive the mail, whether it be mail from the bank, business partners or third parties, it can be forwarded to nearly any location in the world. Our system will also notify you what kind of mail it is so that you can remain update to date. You don’t have to worry if your documents have been sent correctly or not, we will make sure to keep you updated. We receive deliveries from FedEx, USPS, UPS and other primary postal services for receiving your documents, letters, and packages. More importantly, our pricing won’t change with time, so you can confidently choose us for your business address and mail forward provider. You can set up a business address and mail forwarding all on your own. No matter what kind of business you want to set up in Hong Kong, you are required to renew your company, as per the laws of the Hong Kong Companies Ordinance and Inland Revenue Ordinance. This is needed in order to keep your company in good standing. Moreover, it is mandatory to submit all the annual obligations before the due date. Startupr will also help you in filing the annual returns to the Companies Registry and Business Registration Certificate renewal and make the job easy for your company. Hong Kong companies are required to file an annual return with the Companies Registry within 42 days from the anniversary date of incorporation of the company every year. And if you somehow fail to file this before the due date, you may need to pay the penalty for it. The annual return includes general information on the directors, registered office, company secretary, about the company, shareholders, mortgages, share capital and much more. In order to conduct business, you also need to have a Business Registration Certificate in Hong Kong. More importantly, these Business Registration Certificates need to be renewed before the expiry date. Startupr Backoffice system will help you file before the important dates for company renewal. As soon as you established your business in Hong Kong, we will also help you in creating a stable infrastructure, in terms of staff, facilities and IT systems to support your company. To run smoothly and efficiently, the infrastructure of your company should match your business strategy. Startupr Backoffice system can also help you in ordering, preparing, and receiving important documents as per your company needs. Certified CPA Documents – In order to set up a bank account in Hong Kong, a certified true copy or certification of company documents like business registration, ID documents, and others, may be required. Apostille of Documents – When you want to open a corporate bank account in a foreign country, you need to have apostilled documents including incorporation documents, personal individual document and certified true copies of financial documents. Certificate of Good Standing or Certificate of Continuing Registration – Certificate of Good Standing or Certificate of Continuing Registration (CCR)- is an official document issued and authorized by the Hong Kong Company Registry. It is used to verify that the certified company is continuing registration of a company with the Company Registry. Certificate of Incumbency or Company Particular Report – It is a document which includes the company particulars and information. It helps to prove the identity of individual members in a company and how they are legally associated with the company. This document should include company information such as company directors names, shareholders details, members names, and share type information of any particular company. Power of Attorney of PoA – It is a document which provides the ability of an agent or another individual to act on behalf of you for legal business matters. With a Power of Attorney, you can authorize the agent to sign for company documents and legal documents on your behalf. By now, you should have a better idea about our Backoffice system services. With our Backoffice in Startupr, you can easily enjoy round-the-clock access and fast company services through Startupr and the HK government Companies Registry (CR) office. This enables you to customize the services directly and us to submit the company filings efficiently. Our transparent pricing, creative and flexible approach, honesty & reliability, and unwavering focus on client satisfaction help to provide you the best services possible. Contact us today!